@benkhc is on Carousell - Follow to stay updated! New with tags. Slim fit, taper from knees. 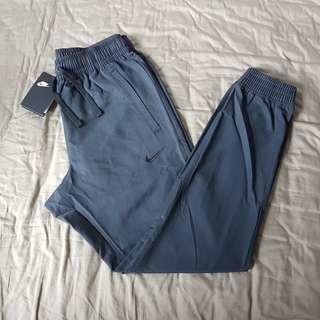 Nike Sportswear Woven Jogger in Charcoal Blue. Size Medium, 30". Retails HKD450, asking HKD350. New with tags. Convenient zipper latch on the interior side Zara Genuine Leather Wingtip Boot in Dark Brown. 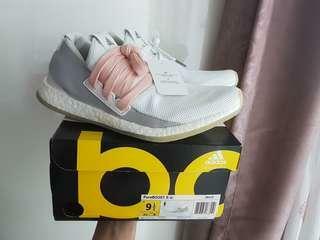 UK40 / US7 / 25.5cm Retails HKD899, asking HKD 450. New with tags. Nike Tech Fleece Crew Long-Sleeve in Charcoal Grey. Size Medium, recommend for weight 145lb - 155lb for a slim fit. Retails HKD699, asking HKD330. New with tags, purchased from Japan. Comes with another Nike box. 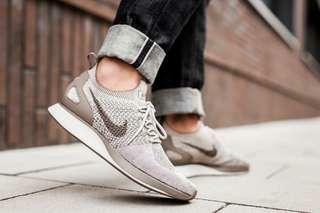 Nike Air Zoom Mariah Flyknit Racer in Dark Mushroom. US8.5 / UK42. True to size. Retails HKD1099, asking HKD770. New with tags. Extra laces provided. Same comfort as NMD R1. 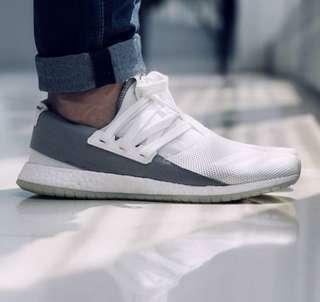 Adidas Pure Boost Raw in white / cream. Mens US8 (26.2cm) UK41.5 or woman US9.5. Retails HKD999, asking HKD490. New with tags & receipt, purchased from UK. Vintage Fit, more slim than regular version. 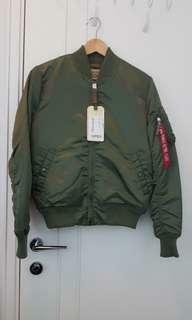 Alpha Industries MA-1 VF 59 Flight Jacket in Sage Green. Size small, recommend for body weight 145~160lbs. Retails HKD1600, asking HKD1150. New with tags & receipt. Bought from UK. NIke Tech Fleece Pant (insulated version) in Camo Green Print. Retails HKD899, asking HKD440. New with tags & receipt, purchased from UK. 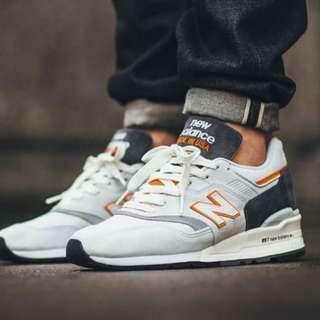 New Balance 997 (Made in USA). Premium buttery suede. US8 / UK41.5. Go true to size. Retails HKD1600, asking HKD1150. New with tags & receipt, purchased from UK. Adidas NMD R1 Primeknit Boost in white / gum. US8 / UK41.5 / 26.5cm. Same fit as mesh NMD in US8.5. Retails 1600, asking HKD1100. New with tags & receipt. 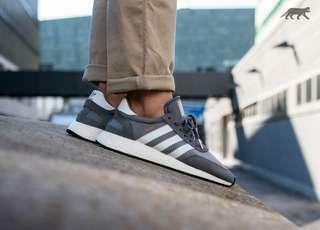 Adidas Iniki in grey (BB2089) with bronze metal lace tips. US8.5 / UK42. 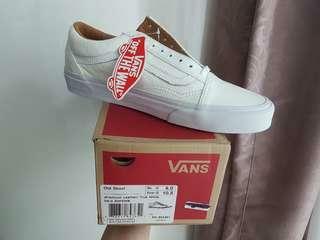 Fits true as US8 because of its slim toe box. Retails HKD1099, asking HKD900. New with tags attached. Adidas Pure Boost Raw in white / cream. 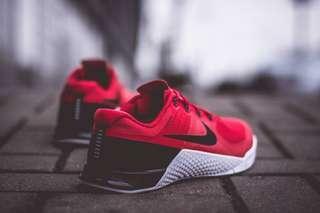 Fit as mens US8 or womens US9.5. Extra laces provided. Asking HKD580. New with tags, asia Medium. Nike Sportswear Woven Jogger in black. Fits slim and narrow from the knee downward. For true waist 29/30". 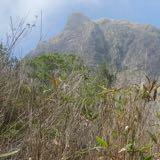 Recommend for height below 5'7 or weight 125lb - 140lb. 100% cotton. Elastic cuffs, zipper fly, lateral zipper pocket. Retails HKD699, asking HKD299.